Catch singer Lesle Lewis live at Lodi - The Garden Restaurant on 15th of December and get ready to submerge yourself in euphoria of music. 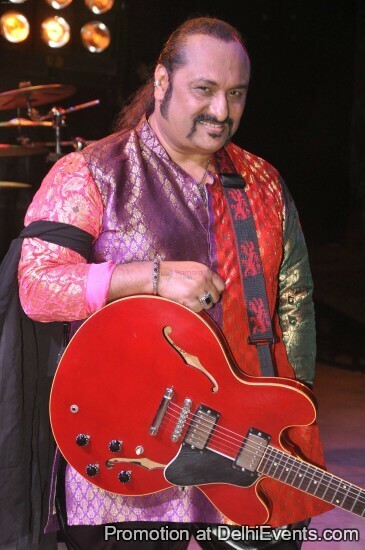 He is better known for his collaboration with singer Hariharan and the duo was called Colonial Cousins. With an early exposure to the Beatles, Jimi Hendrix and Eric Clapton, Lewis began plucking guitar chords at the Cafe Royal, Oberoi Towers. Later, he worked with renowned film music directors such as Kalyanji Anandji, Laxmikant Pyarelal, RD Burman and Louis Banks. Lesle Lewis also composed and produced the music for singer Suneeta Rao's 'Paree Hu Main', Alisha Chinoy's 'Bombay Girl' and KK's 'Pal'. Don't miss this one!